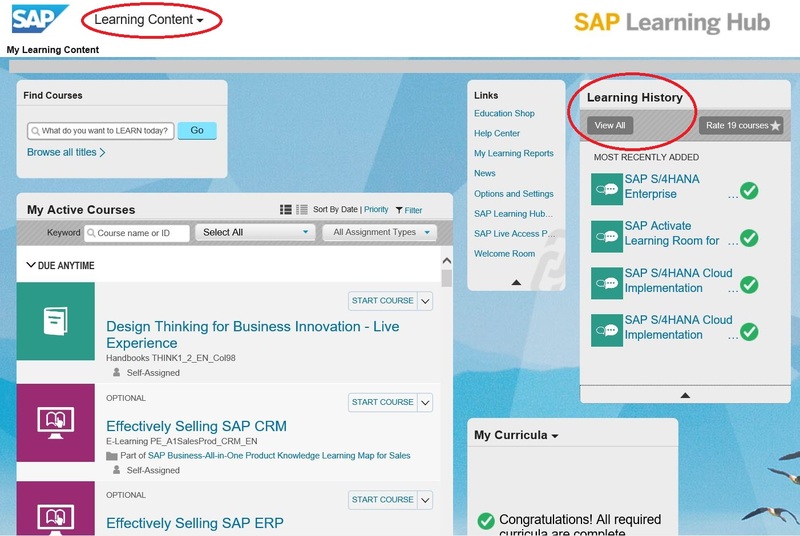 You have completed a web-assessment, an e-learning, an online-curriculum, a bootcamp, or any other training within SAP Learning Hub and are looking for a completion verification document? Gone are the days waiting to receive it. 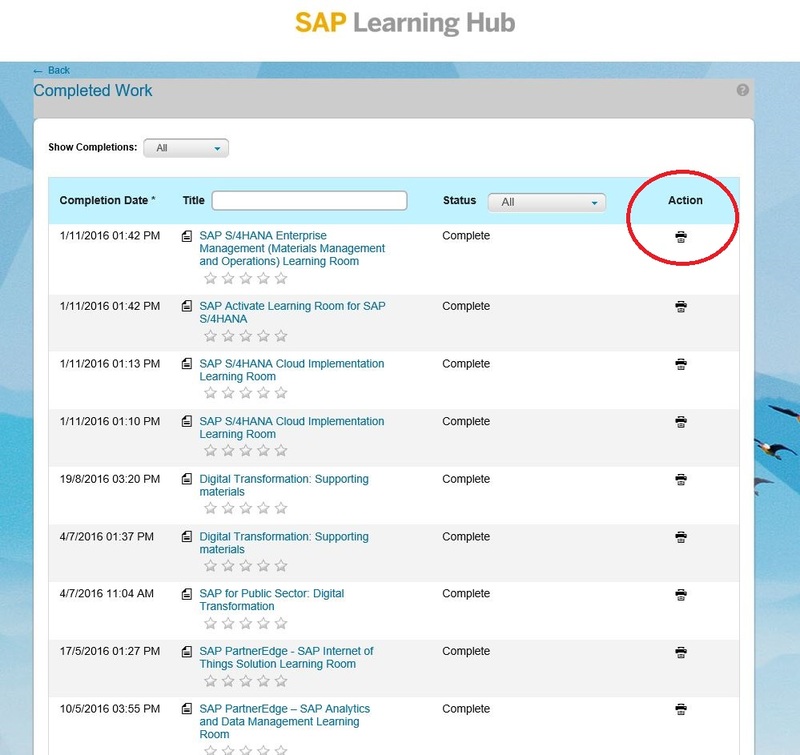 In SAP Learning Hub you can print your certificate yourself – right away. 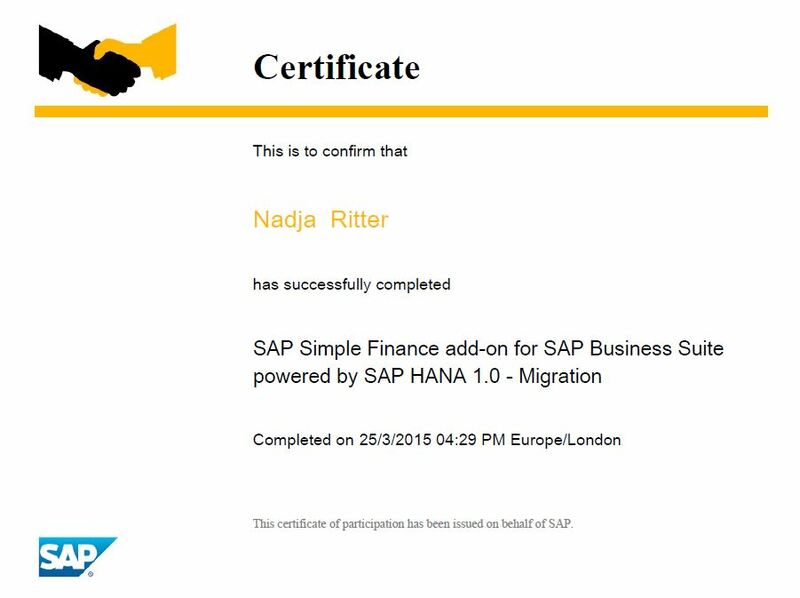 and select “print certificate” under “Action”. Contact your local Partner Service Advisor (PSA) should you require assistance or in case of any questions. This is gr8 news. Thx for sharing.